A rewarding career like no other! Graduates of our pacesetting academy in Lagos have guaranteed employment opportunities working with children and families worldwide as well as opportunity to set up successful childcare related businesses. Is TNA Academy your future? If you are interested in working with children,The Nanny Academy offers you a unique start to a lifelong career.Find out if our courses with the practical approach is right for you. Our agency services gives you personalized service. We exclusively place background screened Nannies graded levels 1,2 and 3 according to levels of experience, training and proficiency. We have been placing Nannies in Lagos,across Nigeria and overseas since 2010. 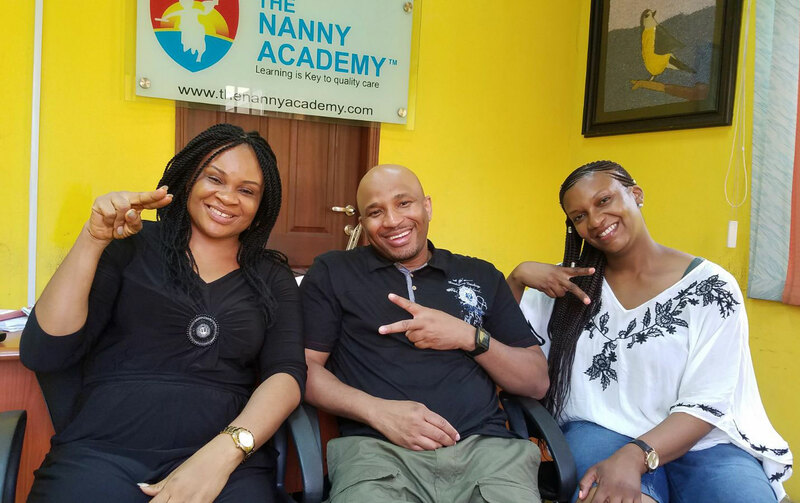 Founded in 2010, The Nanny Academy has earned the reputation as the finest program in Nigeria for Nanny Education. We are globally recognized for our unique Professional Caregiver Programs and Nanny employment/placement service. With our unique combined expertise and background which rolls together into several years, our dedicated faculty educates and empowers women to embrace Childcare career and to challenge children to reach their greatest potential by nurturing their intellect, imagination and ingenuity..
Amara was born and raised in Eastern Nigeria. She moved to Lagos when she got married. She is the proud mother of four children, three daughters and a son and fully understands how difficult it is to raise a family and build a career simultaneously. Amara earned a BA(ED) in English Education from Imo State University; a Master of Arts degree in English Language from the University of Lagos and an Msc. in Media and Communication from the Pan-Atlantic University. She is currently pursuing a Doctorate degree. Amara has additionally earned the prestigious Certificate in Entrepreneurial Management (CEM) from the Enterprise Development Center (EDC) Lagos, including several other certifications and affiliations with local and international bodies. 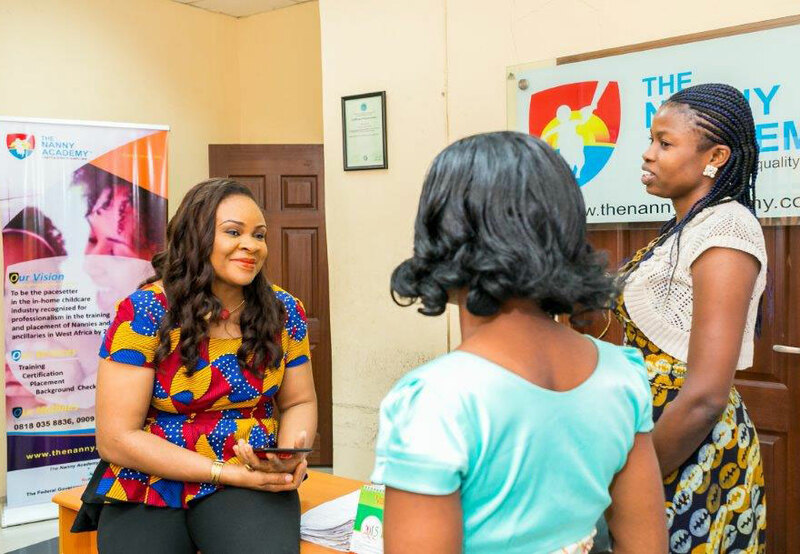 In 2013,Amara won the prestigious ‘40 under 40’ SPECIAL RECOGNITION AWARD from BUSINESSDAY Newspapers in conjunction with Nigeria’s Federal Ministry of Trade and Investment for the work she is doing at The Nanny Academy. These documents are to be submitted alongside the application form which is obtainable at the office. We provide opportunity for students of all ages and backgrounds to advance their career in the field of childcare. These documents are to be submitted alongside the application form which is obtainable at the office. We provide opportunity for students of all ages and backgrounds to advance their career in the field of professional childcare. Our vision is to be a global pacesetter in the early childcare and education industry recognized for affordable and world-class training and placement of Nannies by 2020. 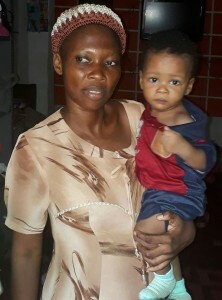 Meet Nene, a childminder who runs her own daycare in her home comprising of one bedroom and one sitting room in a two storey building, housing several apartments, located in Akoka area of Lagos Nigeria. Nene’s services is closing the gap for low-income families who cannot afford a standard daycare nor able to hire a private Nanny, by charging very low fees to take care of the children while their parents work.